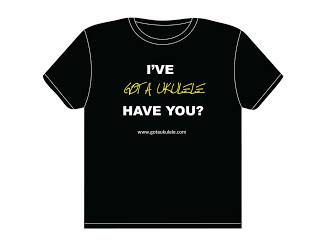 Ahhh, the ukulele strap ... if ever there was a subject to divide all opinion. 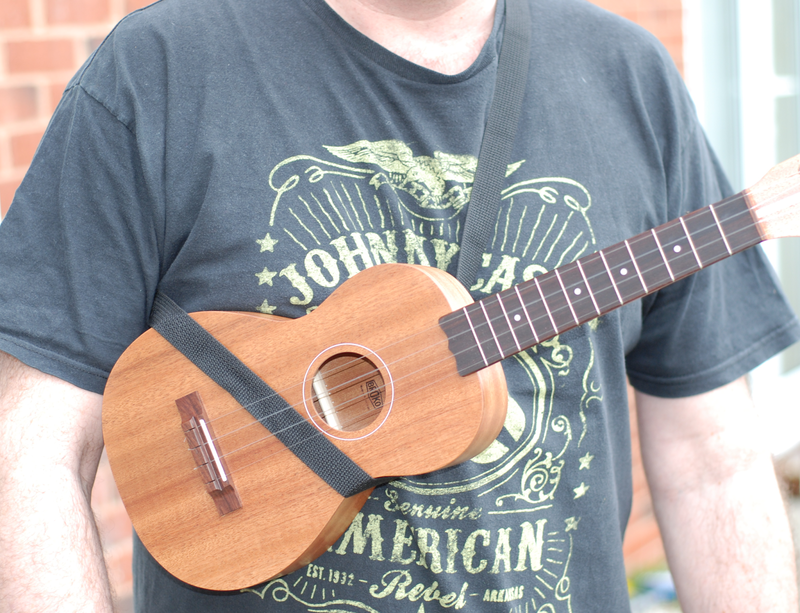 Readers of my blog will know my view - if you want to use a ukulele strap, then use a strap! I do! I have been aware of this particular product for some time now, but only recently got around to having a closer look at one. 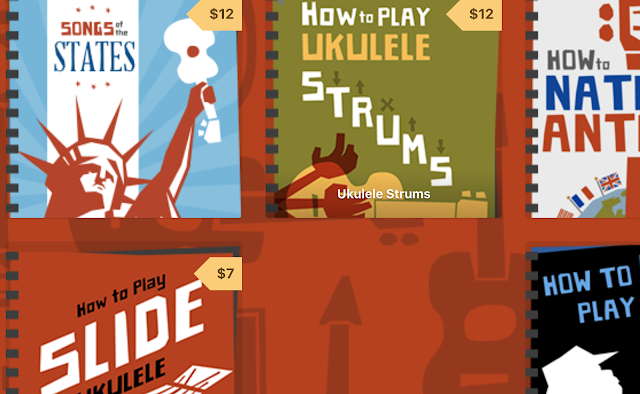 The Mobius Strap for ukulele. A strap with a twist! The mobius ukulele strap uses a simple but clever bit of mathematics based on the 'mobius ring' to create a support system for the uke that I must say, is pretty decent. The strap consists of simple bit of webbing as used in so many straps with velcro closures on the ends. But the closures don't match in a way that allows you to create a basic loop - they require you to put a half turn into the loop creating a twist, that rather cleverly helps this to work. The system comes with a standard strap buckle adjustment for length, allowing you to have the uke held just where you want it. In play, I didn't really notice it was there and it didn't interfere with my play at all. I would say that I would class this as more of a support than a full strap. 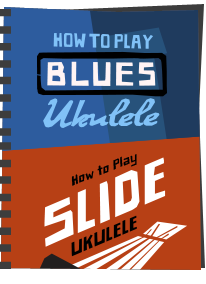 It does allow you to go hands free, but you need to ensure that the uke is balanced as I found it quite easy for the uke to tip one direction or the other. Thankfully the instrument is not going to hit the floor as the strap will be stopped by either the neck or the bridge, so it is quite safe, but isn't quite so sturdy as using strap buttons. 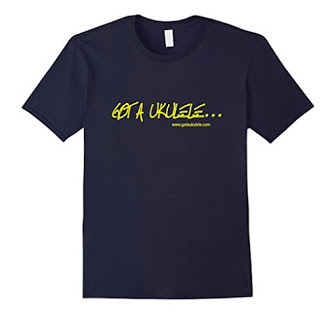 But really, this is aimed at people who don't want to drill their ukes for whatever reason. I like this as an alternative to the sound hole hook (something I have NEVER liked as I don't want that kind of pressure on my sound hole, nor does it offer hands free support), and whilst I was apprehensive before it arrived, was pleasantly surprised at the comfort and ease of use. 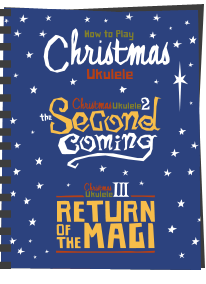 It won't suit every uke though - pineapple body shapes may be tricky to keep the strap held, and the makers advise that ukes like resonators may be too bottom heavy to hold too. But for the vast majority of ukes, it will work just fine. I like simple ideas put to good use and this fits the bill very well. If you are wanting to avoid the drill option, then I think you should check them out. They are available through the Mobius Strap website at http://www.mobiusstrap.com/index.html. They retail at $16.95. I hate pressure on my sound hole too. Very interesting indeed. I have been looking at straps recently and haven't seen this one. Thanks for the review. 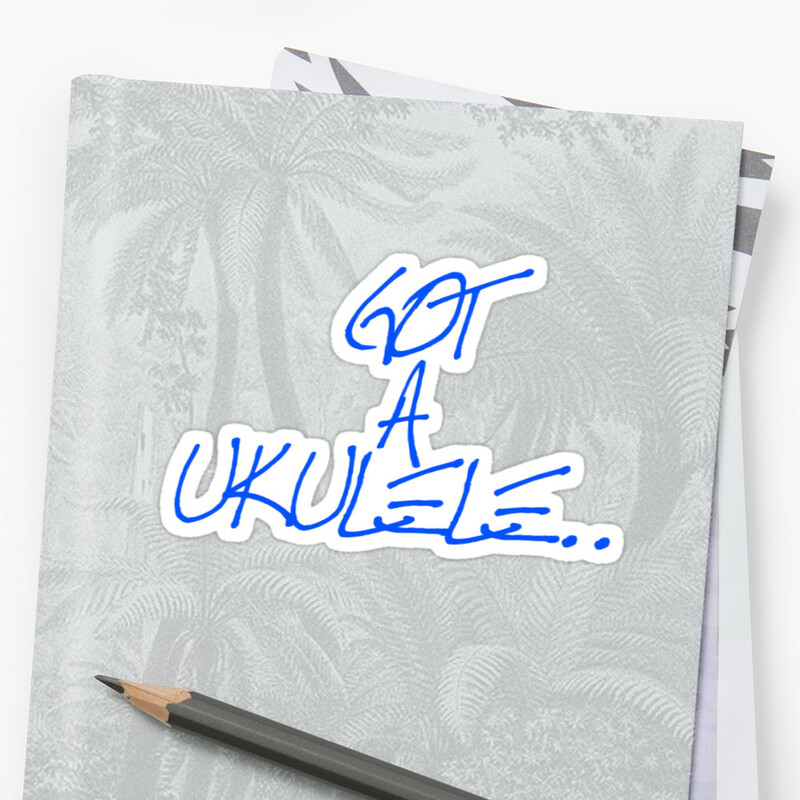 I bought one of these and the Uke Leash - i just cant get on with the Mobius. 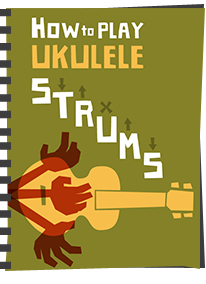 Apart from stopping your uke from falling to the floor if you let go, it seems to offer pitifully little in the way of balanced support. It could be, of course, that it's because I am a funny shape. Entirely possible. I think it is best suited to a tenor or baritone. In my opinion The Uke Leash, which a different proposition in being only a half strap, is a much better bet for concert or soprano sizes. Now, I wonder if can I use the Mobius to take the dog for a walk? The strap works very well, but I would strongly advise against buying it in the UK. It cost me £25.14 for the strap and carriage, 75p for a non-sterling transaction fee and £11.93 from the Post Office for a customs charge. A whopping £37.82 in total!! This is a good strap, but I would warn you that if you live in the UK it will cost you dearly. You will be charged £25.14 for the strap and carriage, 75p for a non-sterling transaction fee and £11.93 from the Post Office for Customs charges. A whopping £37.82 in total!